carrie-bee.com: Wheel of Mystery quilt - done! 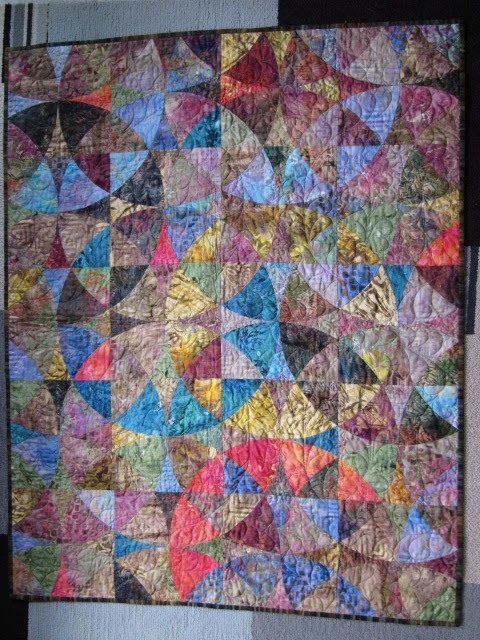 Wheel of Mystery quilt - done! My friend Julie did an amazing job quilting this! I started this thing way back in 2006 and just finished sewing the binding on this month. It's super nice to be able to cross this off my to-do list and hang it up on the wall!